BROMSGROVE SC walked away with 34 medals from the Worcestershire County Championships. There were seven golds, 16 silvers and 11 bronzes for the club who impressed over the three weekends of contests. Head coach Matthew Lowe said: “I am very proud of all the swimmers who took part, many battling through illness to compete. To be able to enter races in the championships, swimmers needed to have achieved the qualifying times set by the county during ‘open meets’ during the previous nine months. 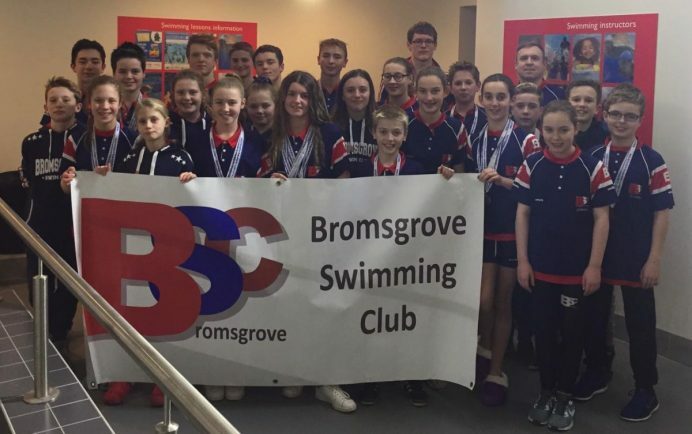 A total of 32 Bromsgrove swimmers had the qualifying times required to enter the event, with one swimmer actually achieving the qualifying time in all 17 meets.